There are several new product changes from Agilent. 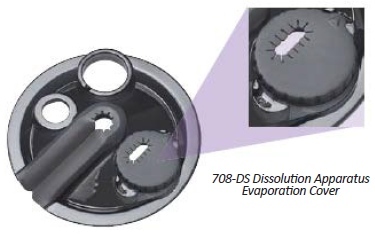 The 708-DS Dissolution Apparatus has a new evaporation cover. The Chinese Pharmacopeia (CP) specifies the sampling distance to be 10 mm from the vessel wall. This differs from the prescribed USP sampling location. 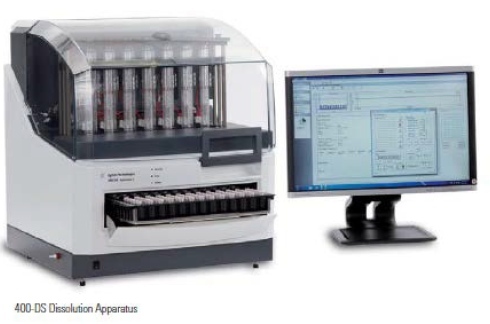 Agilent now offers a convertible evaporation cover that can be used with either position. After adjusting the sampling manifold for the correct distance, simply rotate the rubber gasket to either the USP or CP location. The 850-DS Sampling Station has a new firmware version available. Several new features have been added to improve operation as well as compliance. This includes individual logins, volume calibration assistance and history, and customizable user levels. 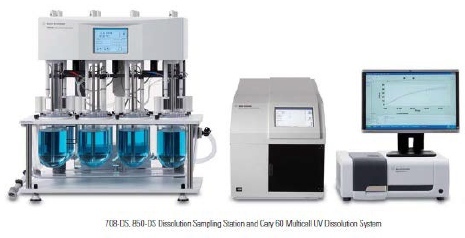 The new firmware is designed to work with both the latest Cary WinUV and UV-ChemStation software. Contact your Agilent service representative for upgrade details. There are several new filter plates available from GE/Whatman. 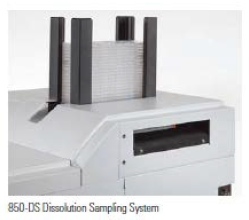 The 850-DS Sampling Station utilizes an optional filter module that is integrated into the top of the instrument. This design acts to minimize the dead volume and allow media replacement in conjunction with filtration from 0.2, 0.45, or 0.7-µm pore sizes. The exclusive 8-channel Whatman filter plates are manufactured by GE Healthcare and available from their worldwide distribution network. 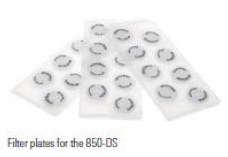 There are now nine variations of plates available in PES, nylon, glass fiber, PTFE, and PVDF membranes. Visit www.gelifesciences.com for more details. 400-DS Small Volume Apparatus 7 Product Enhancements. With the continued growth in combination products, and in response to frequent requests for use of up to 100% organic solvents, several safety enhancements to the 400-DS have been made to allow for safe usage of 100% of select solvents. This necessitated some hardware, firmware, and software changes. If you are using solvents in the 400-DS, we encourage you to contact your Agilent Service representative for this complimentary upgrade.